Everyone has heard one or two conspiracy theories – and every single one has been fairly strange, but people always wonder if it could be true. The fact of the matter is that anything is possible, but the list below contains 20 of the absolute most insane conspiracy theories. This list includes holes that lead to other worlds, a coffee company that plans to take over the world, and a time period that was apparently completely fabricated. 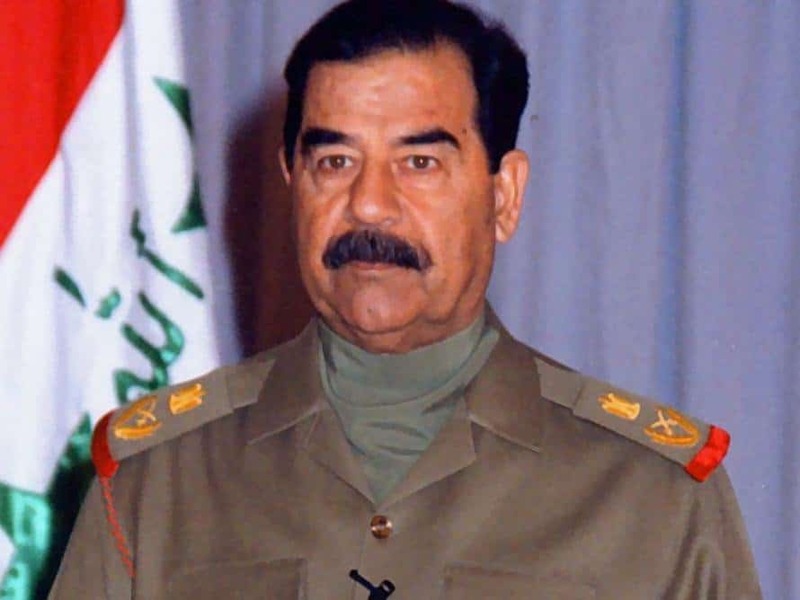 An internet theory claims that the only reason President Bush invaded Iraq was because he discovered Saddam Hussein had a “stargate”, which allowed instant travel between different parts of the universe. 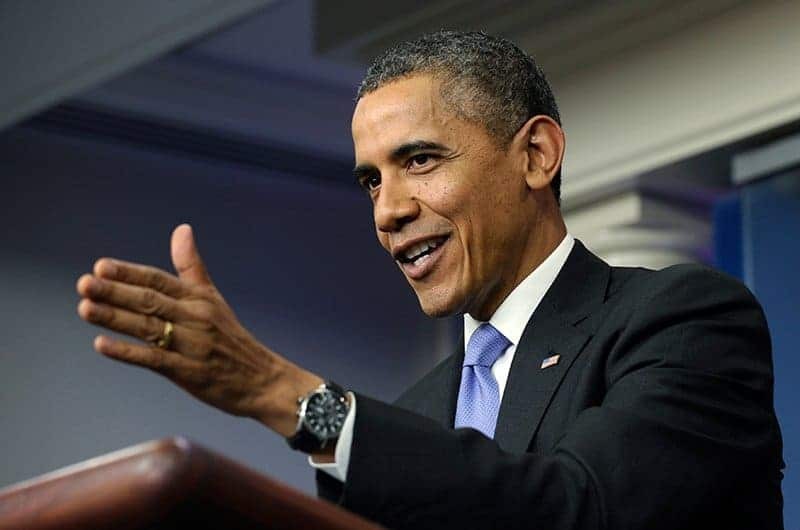 It’s claimed that American forces targeted the device, which was hidden in a secret base near Al-Ouja, because Hussein was helping aliens use it to invade earth. The same website that came up with this conspiracy theory also claimed the Iraqi dictator was simultaneously breeding giant mutant scorpions. Former BBC presenter David Icke claims that the entire planet is being controlled by “dinosauroid” aliens that pose as humans and hold leadership positions across the globe. 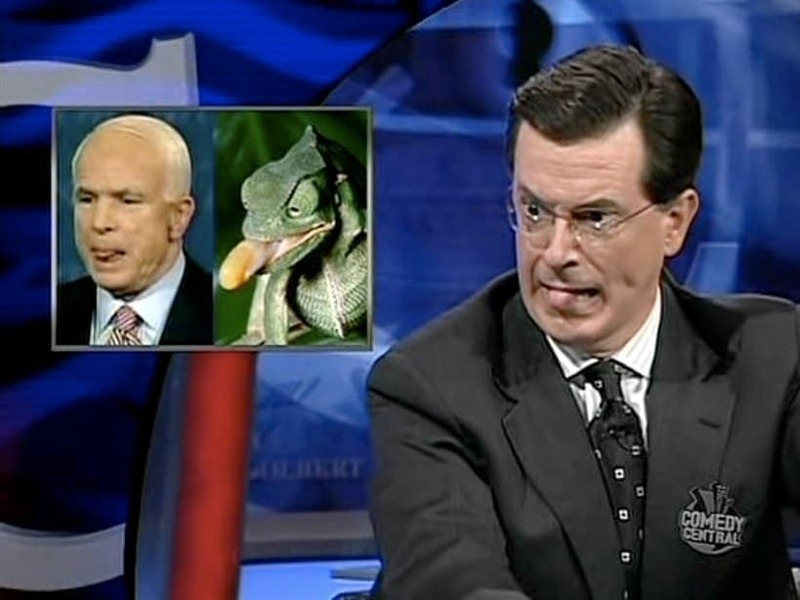 He also believes that these creatures must eat human blood and flesh to keep up their own human appearance. According to the conspiracy theory website “Infowars”, Obama is “perpetrating the conditions” for a major Ebola outbreak by opening the southern borders and allowing infected citizens back into the country. They believe that once the disease spreads beyond control, groups such as FEMA, the CDC, and NORTHCOM will come in and start taking away people’s guns. This plan is only somewhat less absurd than Obama building a giant magnet to collect all of the guns in America. People continue to claim that lip balm maker Carmex includes bits of fiberglass in the ingredients, tearing up your lips and requiring you to apply more lip balm. 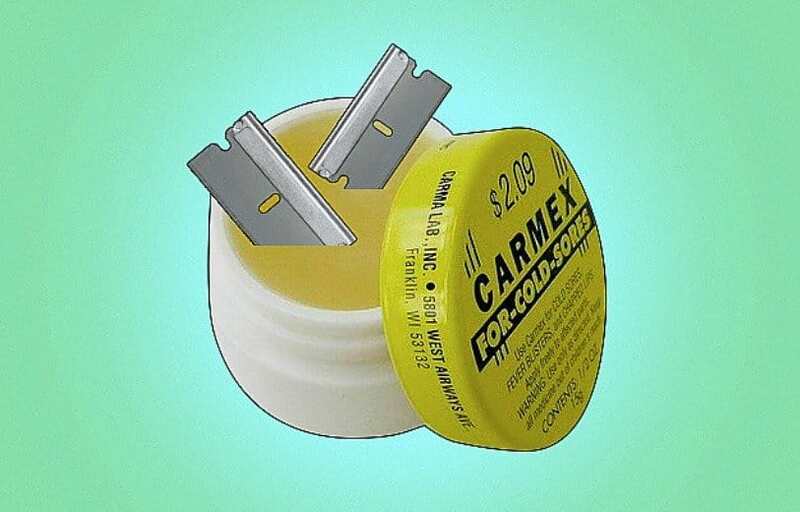 This theory has been proven false easily, many times, but fans of the conspiracy claim Carmex is covering up the testing of their product with bribe money. In 1996, a conspiracy theory surrounding the trails left behind by aircraft began to circulate. 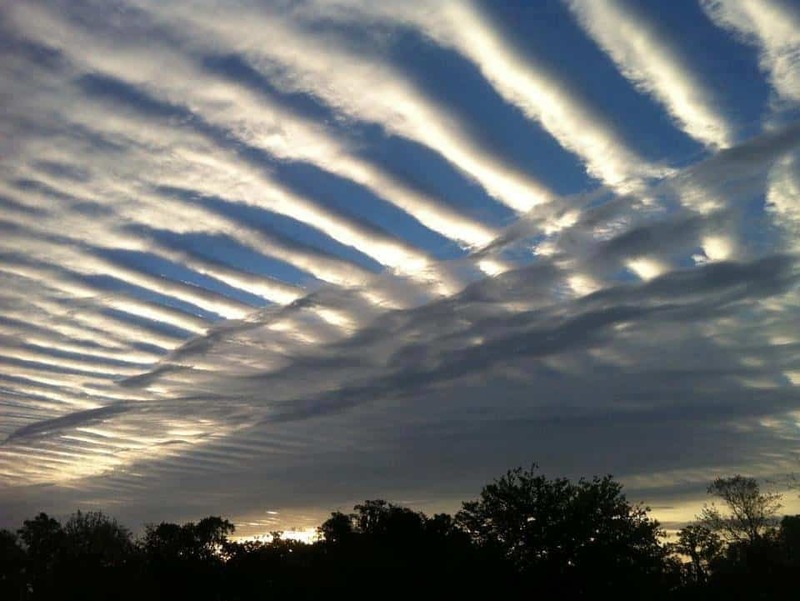 The theories claimed that these chemtrails were actually harmful chemicals planned to make humans less intelligent, weaker or less healthy. The Air Force, however, continues to deny these claims. This theory suggests that the period between AD 614 and 911, known as the Dark Ages, is either dated incorrectly or just never happened. 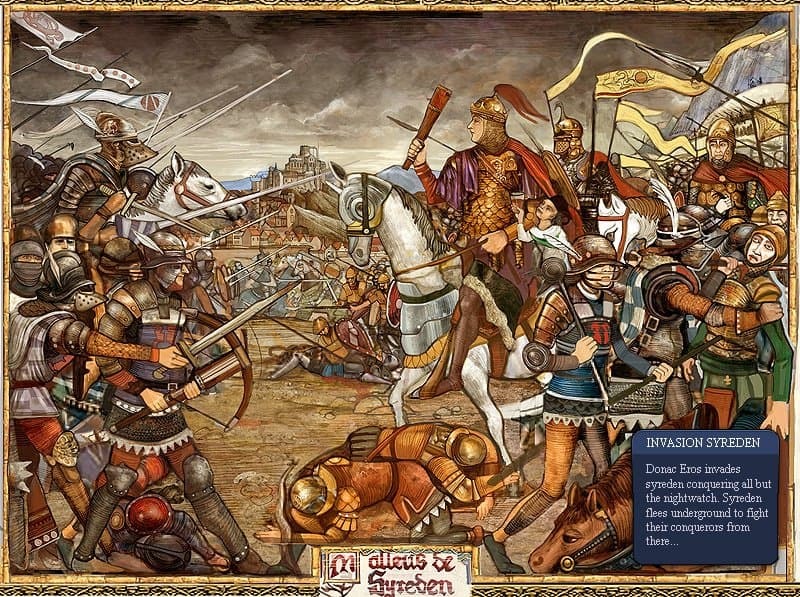 Developed in 1991 by German historian Heribert Illig, this theory claimed that there isn’t a lot of evidence that dates back to the Dark Ages. Monster energy drink has become one of the most-purchased energy drinks in North America, with its advertising of a super shot of energy for high adrenaline sports and activities. 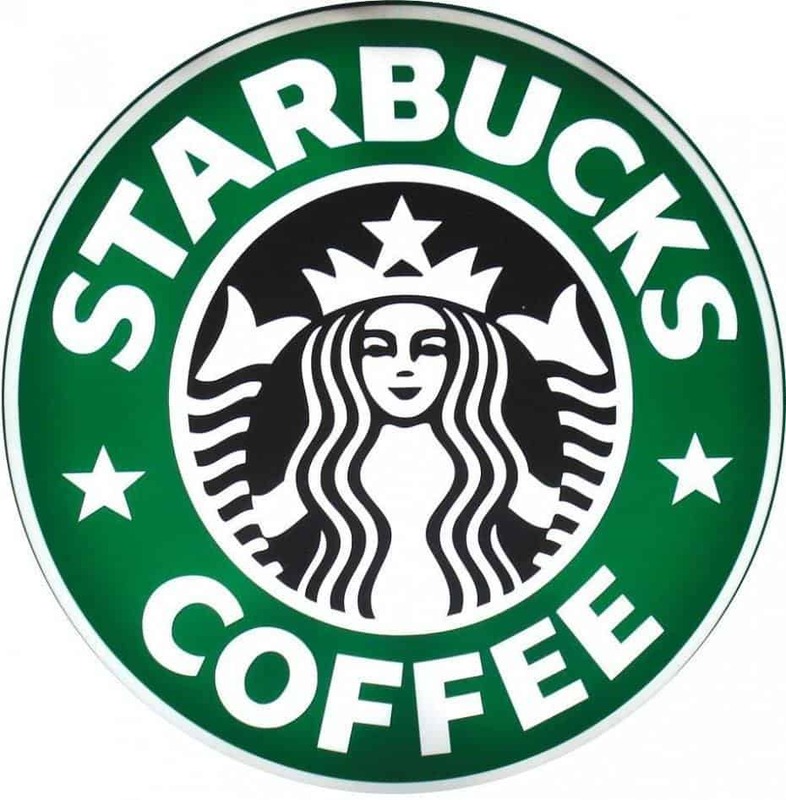 However, some people believe that this beverage is secretly promoting the Mark of the Beast in its logo. Some blogs and websites have noticed that the logo is very similar to the Hebrew letter “Vav”. In the Hebrew alphabet, every letter has a corresponding number and Vav’s number is 6. Therefore the three Vavs in a row form 666, which is the Biblical number of the Beast. 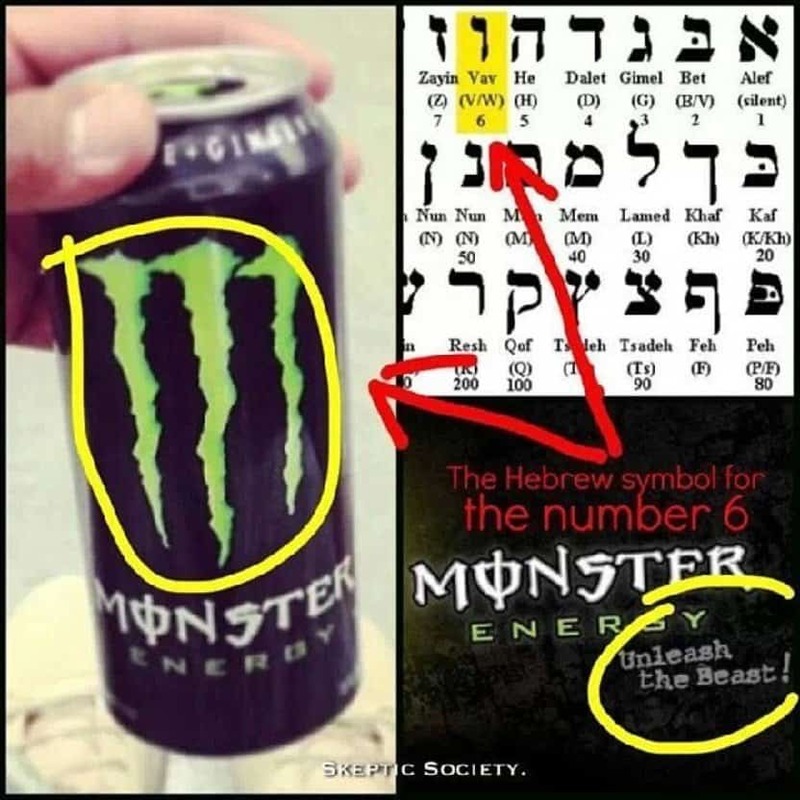 Religious believers claim 666 will be the official number of the Antichrist in the end times, so clearly, Monster energy drinks are promoting Satan. Obviously everyone has heard the theories, and reported “sightings”, that Elvis Presley faked his own death and still lives in a bunker underneath his Graceland home. However, some people take it even further and believe that Michael Jackson is also there with him. 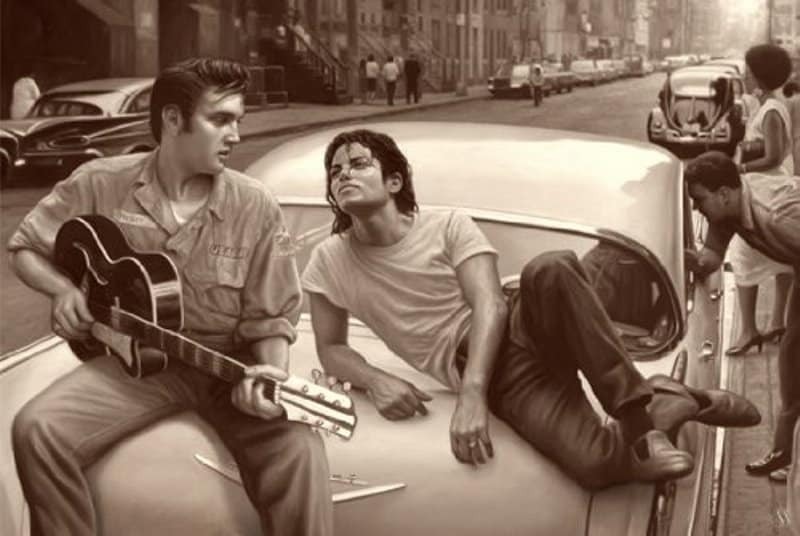 These theorists believe that Jackson faked his death as well, and that the King of Rock, and the Prince of Pop, faked their deaths to escape their insane celebrity lives and to help boost record sales. In 1954 the US President Eisenhower apparently held meetings with two sets of opponent aliens who asked him to obliterate America’s nuclear weapons. He refused to do this, and one set of aliens asked him to sign a treaty allowing the aliens to live on Earth, in exchange for sharing their advanced technology. He apparently agreed, even with their one condition – that the aliens would be allowed to sometimes kidnap humans to examine us, as long as we were left unharmed and our memories wiped. Once Robin Williams passed away, conspiracy theorists immediately exposed a complex plot that claimed Williams was assassinated by the Illuminati. Their only evidence was a Family Guy episode. 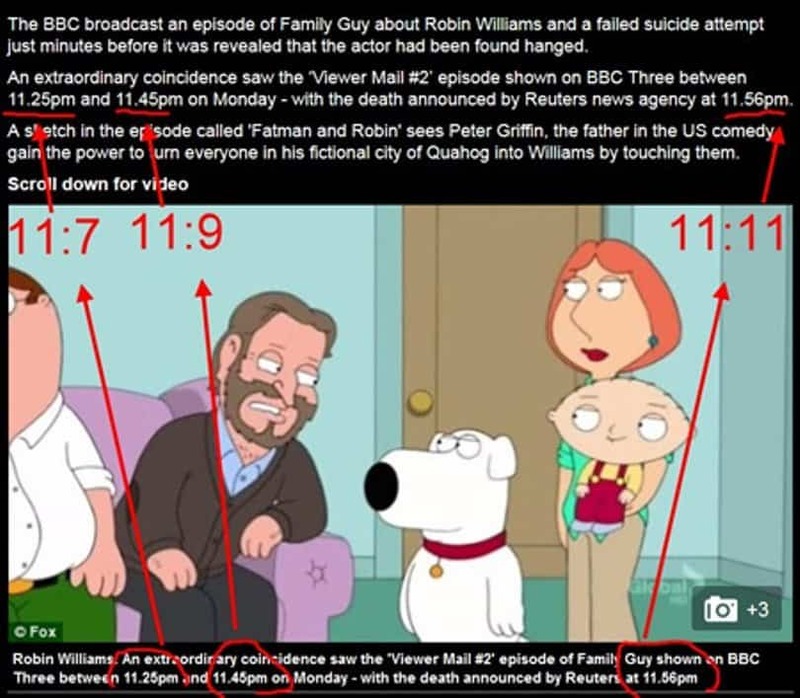 Minutes before Williams’ death was announced, BBC aired an old episode of Family Guy where Peter Griffin can turn anything he touches into Robin Williams. Peter tries to shoot himself, but the gun turns into Williams. The theorists point to this scene an implied message that the BBC’s head of programming must have known about Williams’ death. While the timing of the broadcast is odd, it becomes less so when you realize that Family Guy features a half dozen celebrity appearances every episode. 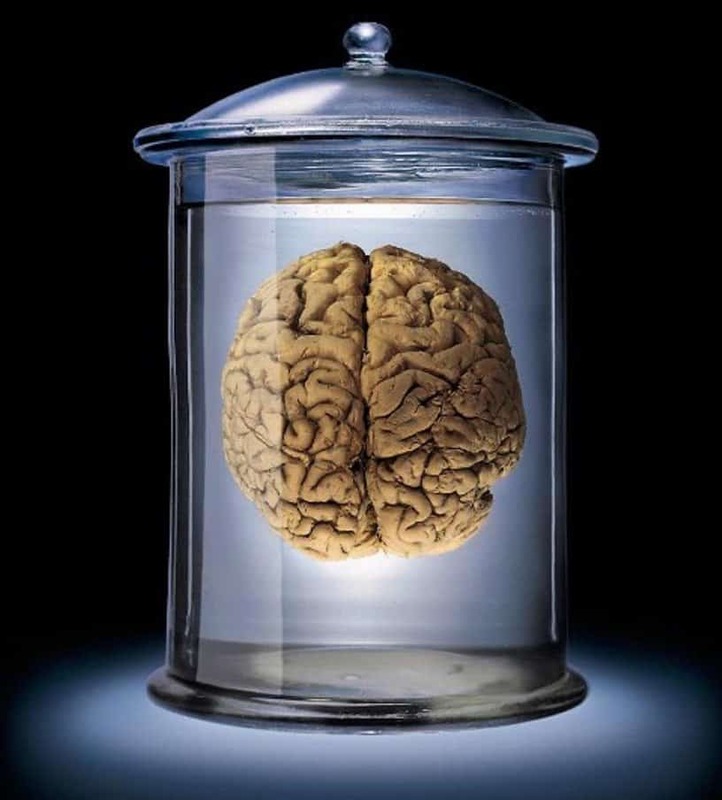 A book that came out titled: “End of Days: The Assassination of John F. Kennedy” alleges that JFK’s brain went missing after his autopsy. Conspiracy theorists say that it was purposefully hidden to cover up the truth, that JFK was shot from the front, rather than from behind. 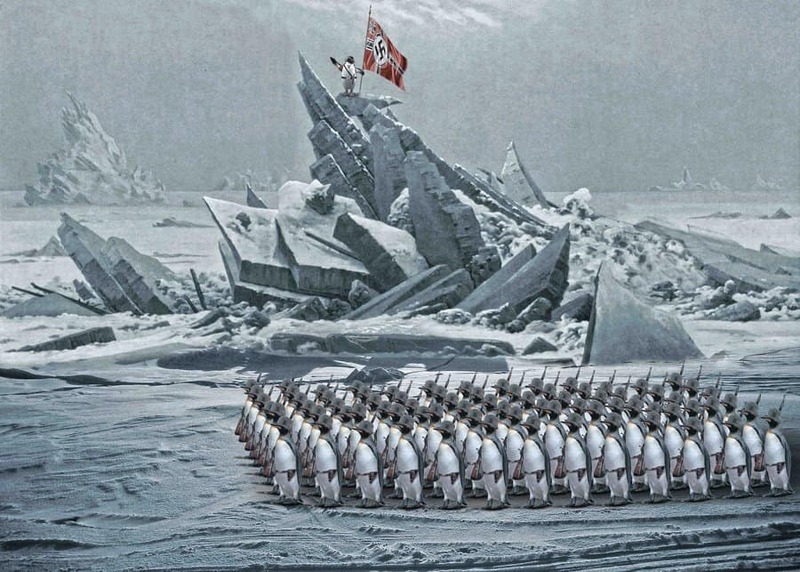 Allegedly, during World War II, Nazi scouts found something unreal underneath Antarctica. Apparently, it’s a series of tunnels that makes the underground area of the pole a nice place to live. There’s also some alien technology in there as well, and now the Nazi’s have it. 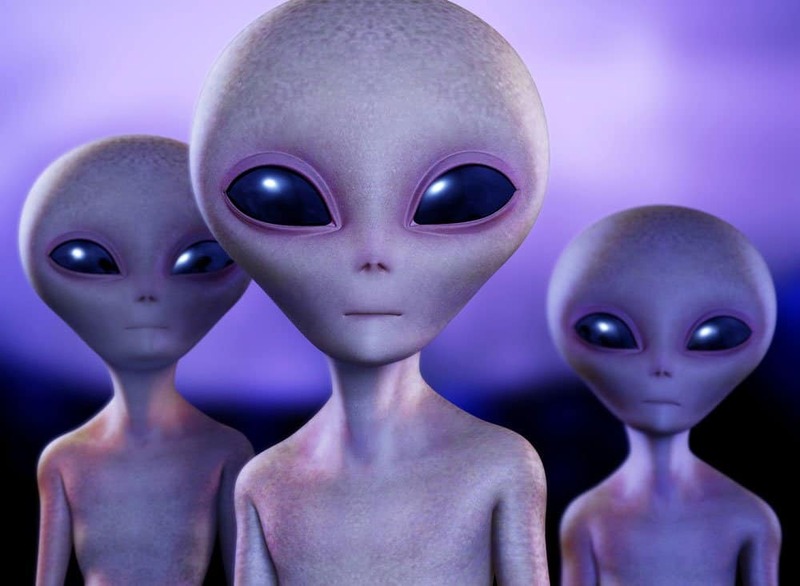 The speculation is that they are either waiting to take over the world, or they have run off with the aliens to create a race of alien-Nazi’s. Sounds plausible. Stanley Kubrick’s films are full of conspiracy theories. The Shining alone, has three, and this one proposes that the 1980 classic horror film is really just Kubrick’s way of admitting that the moon landing by Apollo 11 in 1969 didn’t actually happen. Obviously this would suggest that Kubrick had some sort of inside knowledge about this, and since he’s been linked to the Illuminati so many times, he clearly knows everything. 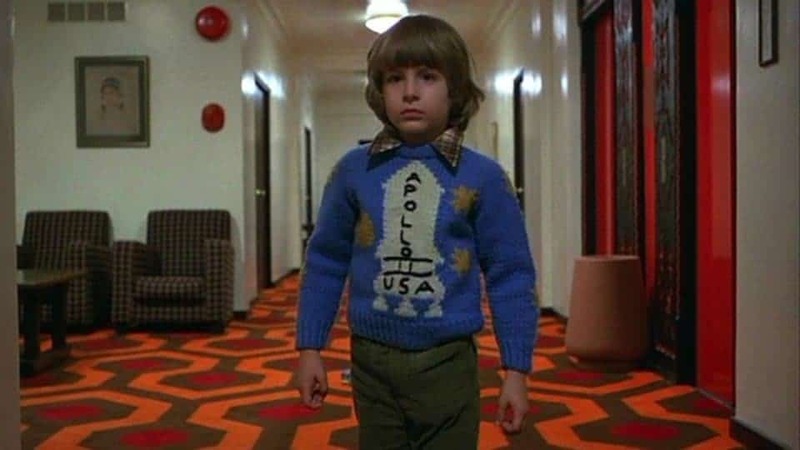 Then there’s the fact that Danny wears an Apollo 11 jumper when he enters room 237, which hypothetically represents the fact that the Earth is about 237,000 miles from the moon. Then, when it turns out that nothing in that room was real, theorists believe that this was Kuprick’s way of admitting that the landing on the moon was also not real. 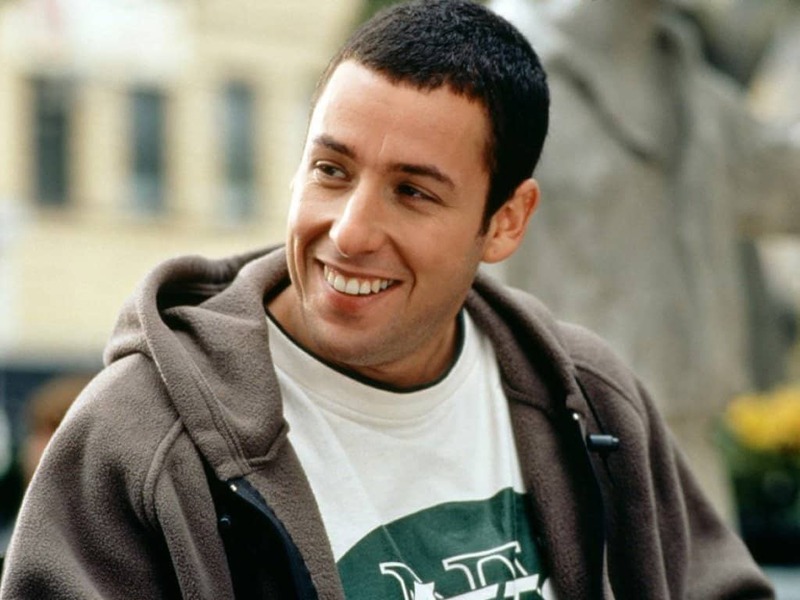 A ClickHole article titled “5 Tragedies Weirdly Predicted by Adam Sandler” went viral, despite being a satirical article. The article cited examples such as the famous scene from Happy Gilmore when Sandler looked directly into the camera and announced Princess Diana’s future death. Despite being ludicrously untrue, and a blatant joke, people still believe in the Jewish actors mystical abilities. 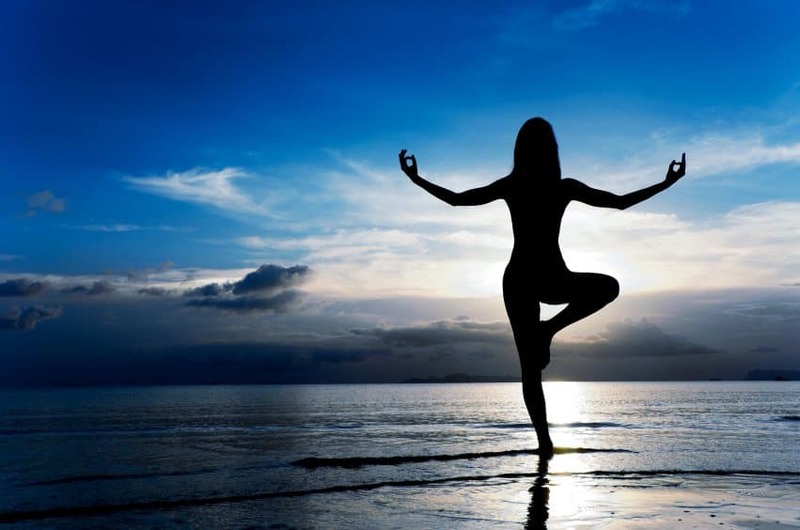 According to senior clergyman Father Gabriele Amorth, once the Vatican’s chief exorcist, when you practice yoga, you’re actually performing a satanic ritual. Despite being a ridiculous belief, people of religious circles still refuse to practice this form of exercise, and some don’t let their children read Harry Potter. For all these years we thought we were living on a lump of rock floating in space. 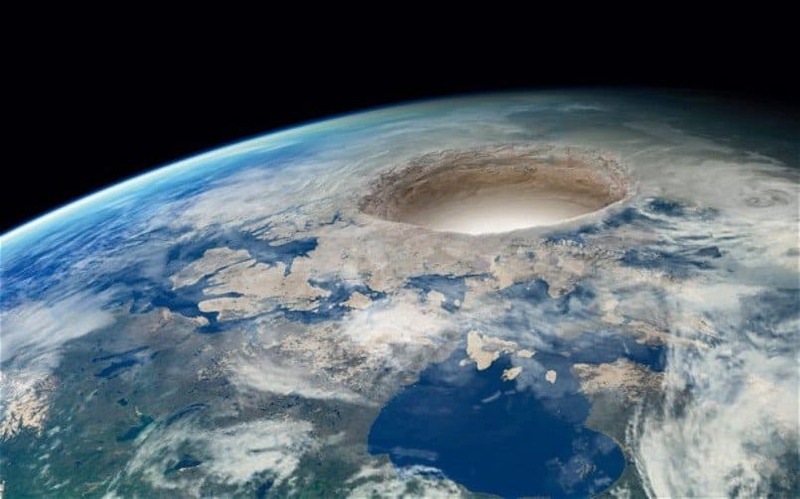 But it turns out that the Earth is actually hollow – and every form of government has covered up this fact. Those who believe in this theory also think that our planet has other worlds which can be accessed through giant, hidden holes scattered around the globe. Adolf Hitler believed in this theory (only further proving its validity). Some people claim he found one of the holes and escaped through it at the end of World War II. In 1997, an ultra-low and really loud underwater sound was detected in a remote point in the Pacific Ocean. The noise sounded like a living creature, but it was significantly louder than the blue whale, which was the loudest recorded animal to date. It also occurred weirdly close to H.P. 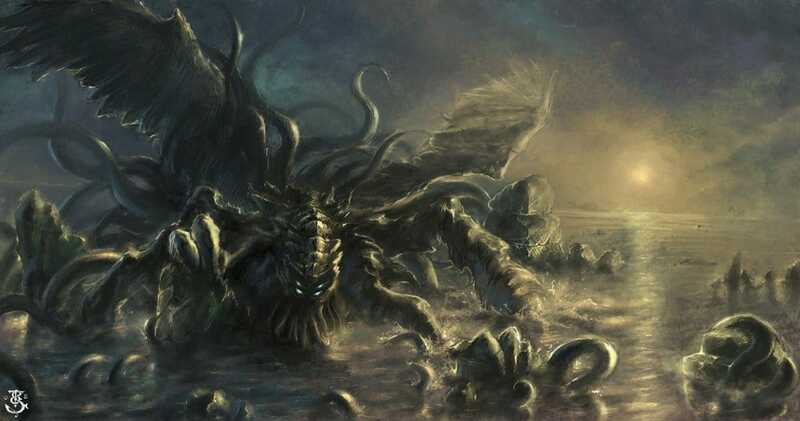 Lovecraft’s fictional city of R’lyeh, the supposed “lost underwater mecca” where a wicked, other-worldly being called Cthulhu apparently sleeps. This is one of the very few conspiracy theories that seems to hold any validity – not that we believe a giant sleeping alien lives in the ocean, but we’re sure there are beings under the sea that we have yet to discover. FEMA is the U.S. Government’s Federal Emergency Management Agency. 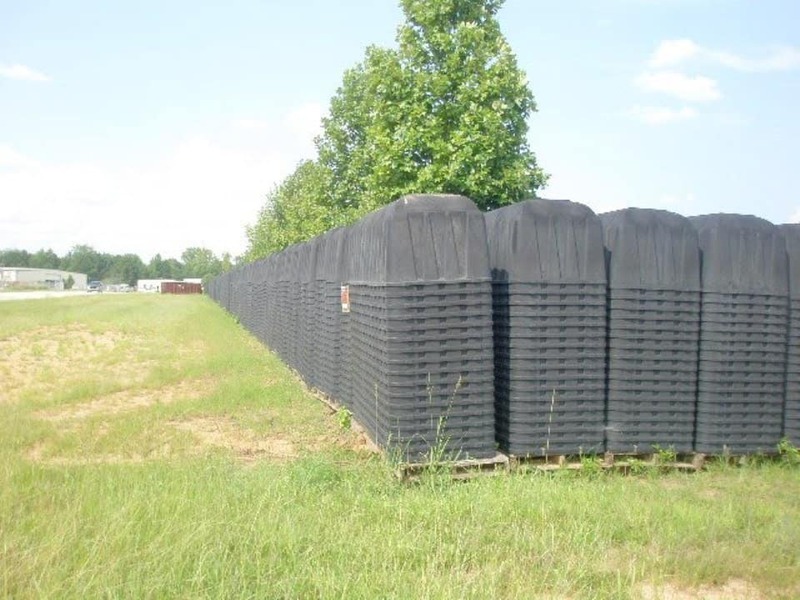 Someone came across approximately 500,000 plastic coffins stacked close to a major road in Georgia. The government claims that they are there for military personnel who die in the course of action, but conspiracy theorists claim that the coffins are there in preparation for people who die when the government decides to bring back martial law, once they populate the prison camps. 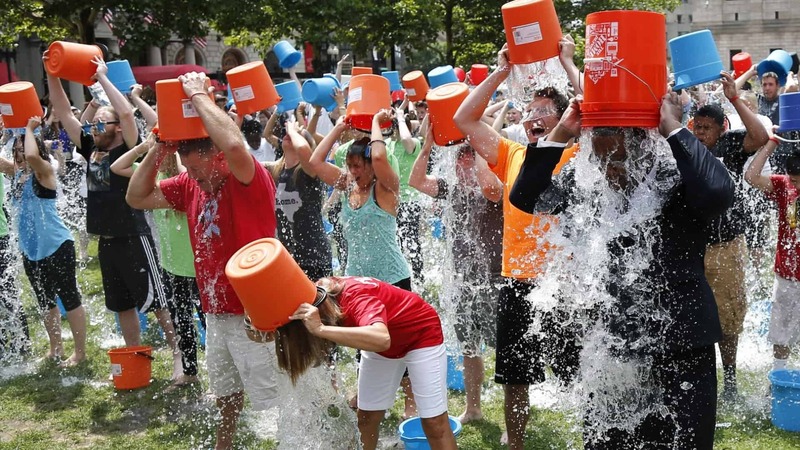 The ALS Ice Bucket Challenge helped raise over $100 million for medical research, so it’s kind of difficult to find a fault with it — other than the fact that it was incredibly annoying on social media. However, multiple conspiracy theorists found a very obvious flaw (how did we miss it?) with the ice bucket challenge – all the people you saw dumping cold water on their heads were actually baptizing themselves into Satan’s army. The only evidence behind this apparent plot was the fact that a ton of celebrities also took part in the challenge and, as we all know, celebrities are all a part of the Illuminati and want everyone dead.